While it’s true that content marketing has been a buzzword in recent years, marketers are increasingly recognizing the imperativeness of having a strong content marketing strategy and are starting to funnel more of their resources towards developing one. In this blog post, we break down the key takeaways from the study B2B Content Marketing – 2018 Benchmarks, Budgets, and Trends – North America. 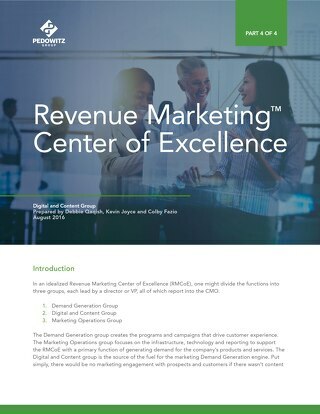 In the eighth annual content marketing survey produced by Content Marketing Institute and MarketingProfs, Research Director Lisa Murton Beets and Chief Content Officer Ann Handley report their findings from the responses of 870 respondents who indicated their organization is a for-profit in North America and selling products or services to businesses (B2B). The lists used to conduct the survey were provided by Content Marketing Institute, MarketingProfs, The Association for Data-driven Marketing & Advertising, WTWH Media, and Technology for Marketing. Out of the top performers, (respondents who characterize their organization’s content marketing approach as very successful) 89% stated that their organization is extremely committed to content marketing, 73% stated that their organization’s content marketing is sophisticated or mature, 62% have a documented content strategy. Key Takeaway: Most organizations have small content marketing teams and outsource at least one content marketing activity. There was no significant change from last year – about 50% have small or one-person content teams, while 26% have a centralized content marketing group. 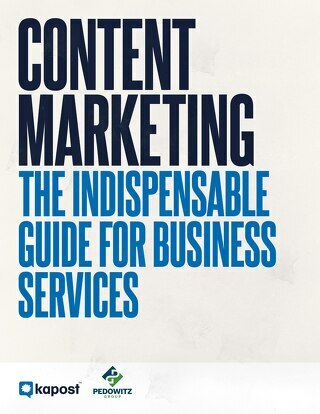 About half of orgs outsource at least one content marketing activity. Out of the 56% of respondents who said their organizations outsource at least one marketing activity, the top two marketing activities they outsourced were content creation and content promotion and distribution. Only 9% of respondents would describe their organization’s content marketing maturity level as sophisticated. The majority of respondents fall in the middle of the maturity scale, with 25% identifying as mature, 31% as adolescent, and 25% as young. Key Takeaway: Few organizations would classify their efforts as extremely successful, but most are committed to improving their efforts in the next year. The survey defined success as achieving your organization’s desired/ targeted results. Only 4% would characterize their organization’s current overall content marketing as extremely successful, while the majority, 53%, characterized their content marketing as moderately successful. Most respondents said their content marketing success had increased much more or somewhat more than last year. 56% of respondent said that their organizations were extremely or very committed to content marketing. 36% were somewhat committed. The top focus was on building audiences (80%). Compared to one year ago, 63% of respondents said their content marketing had become more successful. For those that said their content marketing had become more successful, the top three factors they said contributed to their success were higher quality content creation, development or adjustment in strategy, and better targeting for content distribution. Key Takeaway: The most successful content marketers have a documented strategy. Seemingly obvious, like last year, respondents that have a documented content marketing strategy reported higher levels of success than those who have a verbal strategy or no strategy at all. About half of the respondents that had a content marketing strategy said they had it documented. Of those 25% of respondents who do not have a strategy, 75% plan to develop one within the next year. The top reason listed for not having a strategy included a lack of buy-in from executives and a lack of cohesion and coordination among departments. Those 6% that did not plan to develop a content strategy within the next year said it was because of a small team and a lack of time. Key Takeaway: Analytics tools, fact-based content, Ebooks/whitepapers, email, and LinkedIn are at the top of the content marketing food-chain. The top five digital technologies used by B2B marketers to manage their content marketing efforts include: analytics tools (87%), email-focused marketing technology (70%), content management systems (63%), marketing automation software (55%), and webinar presentation platforms (43%). The top three priorities that B2B marketers consider while creating content include: ensuring content is fact-based/credible, considering how content impacts the overall experience a person has the the organization, and prioritizing the delivery of quality content over quantity. The top six types of content that B2B marketers use for content marketing include: social media posts (94%), case studies (73%), videos (72%), Ebooks/white papers (71%), infographics (65%), and illustrations and photos (56%). The most successful respondents use Ebooks/whitepapers (62%), case studies (47%), and social media posts (43%). The top five distribution formats used by B2B marketers include: email (93%), social media platforms (92%), blogs (79%), in-person events (56%), and webinars/virtual events (55%). The most successful respondents use email (79%), blogs (60%), and social media platforms (41%). The top six social media platforms used by B2B marketers include: LinkedIn (97%), Twitter (87%), Facebook (86%), YouTube (60%), Instagram (30%), Google+ (28%). The most successful respondents use LinkedIn (82%), Twitter (67%), and Facebook (48%). Key Takeaway: While most B2B marketers can link their content marketing to increased engagement, reporting on ROI is still a challenge. Only 19% of B2B marketers rate their alignment of metrics and content marketing goals as excellent or very good. 65% either don’t measure content marketing ROI or are unsure. Those who do not measure content marketing ROI stated the reasons being no formal justification required or that they needed an easier way to do it. Key Takeaway: The most successful spend more of their budget on content marketing. The average percentage of the marketing budget spent on content marketing for all respondents was 26%. However, the most successful spent 40%. As the content marketing team’s maturity grows, orgs spend more of their marketing budget on content marketing. Those in the young phase spend 19%, the adolescent phase spend 25%, and the sophisticated and mature spend 33%. About 40% of all respondents reported that they expect an increase in their content marketing budget, while 46% expect their budget to remain the same. Content marketing is a marketing approach to engage prospects and customers with customer-centric information. To be successful in this approach one must understand the customer buying journey, develop a set of personas that will be leveraged in all inbound and outbound campaigns, and build a content operation that generates valuable, relevant content to engage customers. Are You Drowning in Content Chaos? In this month’s step of the revenue marketing journey, we cover content marketing strategy and the steps to developing the best content editorial calendar. Marketers have developed content for eons, but there are several new factors that require content operations and related processes to bind it all together.